A photo of the fountain as originally designed. 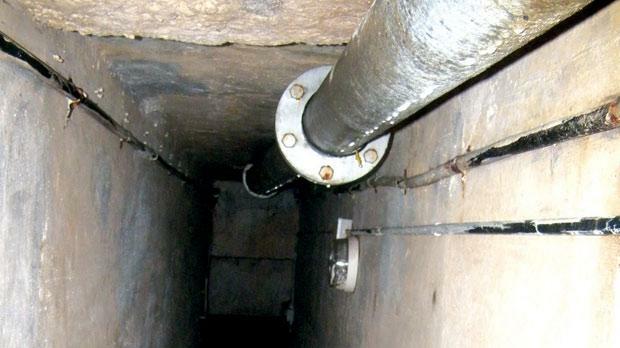 There is a maze of tunnels and pipes beneath the fountain. 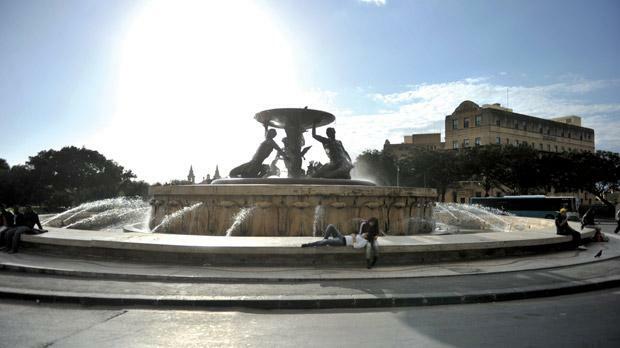 Plans to shift the Triton Fountain, outside City Gate, in Valletta, to Floriana have been abandoned because it needs a €2 million restoration job that will take an estimated two years to complete. This means Renzo Piano’s plans for the square outside the capital’s new entrance were revisited to incorporate the fountain in the upgrading project, which will include paving an area of 12,000 square metres. A detailed report and the intervention it required would be passed on to Heritage Malta, which was entrusted with the restoration of Vincent Apap’s iconic fountain, Infrastructure Minister Austin Gatt said. The original plan to move the fountain had been welcomed by some but rubbished by many who felt the fountain, positioned at the city’s entrance since 1959, should remain where it is. Dr Gatt did not exclude the possibility of it being moved in the future after having been restored. The fresh plans presented yesterday will retain the concept of open space, paved with hard stone complementing the new city entrance. A car park with space for 55 vehicles to the left side of the fountain was also scrapped. 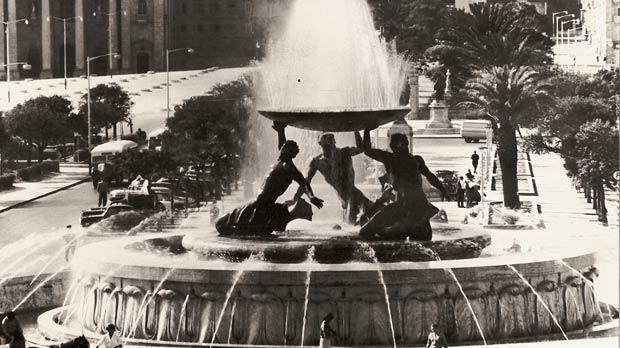 Plans to shift the Triton Fountain, a landmark in Valletta, to Floriana have been abandoned because the move would entail a €2 million restoration that will take an estimated two years to complete. This means Renzo Piano’s plans for the square outside capital’s new entrance were revisited to incorporate the fountain in the upgrading project, which will include paving an area of 12,000 square metres. A detailed report and the intervention it requires would be passed on to Heritage Malta, which was entrusted with the restoration of Vincent Apap’s iconic fountain, Infrastructure Minister Austin Gatt said. The €5 million project includes an uplift of the façade of the government flats in Freedom Square opposite the site of the new Parliament – 18 wooden balconies will replace the present stone ones and metal railings will replace the stone balustrades. Shop awnings will also be changed. Dr Gatt said the money being spent to upgrade the area outside the city entrance was over and above the €80 million being spent on the Renzo Piano project. The government did not incur any costs for the fresh designs to incorporate the fountain, he said, and the project was expected to be completed with the Parliament and open-air theatre in 2013. He said other changes which will take place include relocating the kiosks surrounding the former, grubby bus terminus and fountain area but this still needs to be discussed with the kiosk owners. Kenneth Cauchi, an art restorer and expert on Mr Apap’s sculptures, said a detailed study on the fountain revealed serious damage, particularly the tritons’ layer of bronze and the plate they were holding. Mr Cauchi explained that there was a complex network of tunnels underneath the fountain. The restoration work will include dismantling the sculpture and sending the pieces to specialists abroad who will restore it and then reassemble it in the exact position it was. The plan is to restore it to its former glory with major work being done to the plate on top which will probably be lined with fibreglass or plastic in an attempt to save it. The fountain was commissioned in 1953 under the George Borg Olivier government, with Sir Paul Boffa being the Public Works Minister. However, work actually started on it in 1955 when Dom Min­toff was Prime Minister. It was first operated on May 16, 1959 but was never officially inaugurated because there was no government in place at the time. Although the fountain was the work of Vincent Apap, one of Malta’s foremost sculptors of the modern period, Victor Anastasi worked on the technical layout of the fountain. The fountain has three water chambers at different levels plus a maze of tunnels beneath. In 1977, the basin on top of the fountain was damaged after the Malta Labour Party, then in government, organised song festivals on top of it. The fountain was then abandoned until 1987.